A western New York firm, Smith, Van Valkenburg & Company, was interested in Michigan pine. Henry Perkins Smith, a senior member of the firm, sent his son George P. here in 1862, and he became the father of the town. Given a station on the Detroit & Mackinaw Railroad. 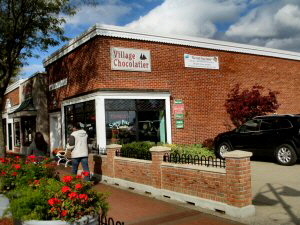 Incorporated as a village in 1887 and as a city in 1895. It absorbed Tawas Beach in 1922. Named from its being east of older Tawas City. 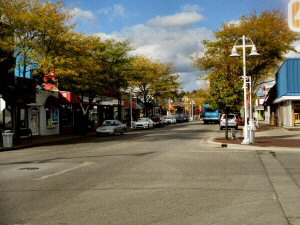 East Tawas is located on Iosco County’s Lake Huron coastline. 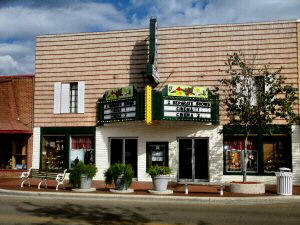 It’s main street is a popular SHOPPING: Antique Shops & Flea Markets, Art & Craft Galleries, Florists, Gift Shops, Outlet Malls, Shopping Centers, Shopping Districts, and Specialty Shops district and has several unique restaurants and shops. 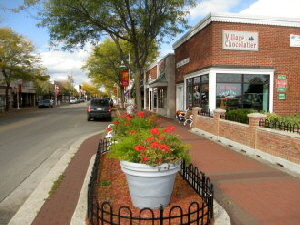 East Tawas is a major resort area, with numerous motels and resorts located along the Lake Huron coastline. The city Tawas Point State Park and city campground are both popular with tent and RV campers. The Tawas Point Lighthouse, built in 1876, is equipped with a Frensnel lens built in Paris in 1880. It replaced the original lighthouse located near the present ball field. The lighthouse stands 70 feet above Lake Huron and the walls at the base are 6 feet thick. 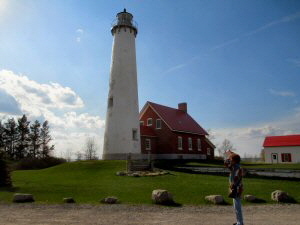 The lighthouse located in Tawas Point State Park and is popular with photographers and artists. Tawas Point is a stop over point for hundreds of species of migratory birds, and it is a favorite spot for bird watchers. The city has a beautiful public beach and playground and pier with docking facilities. East Tawas has several fine Golf Courses. Population: 2,887. 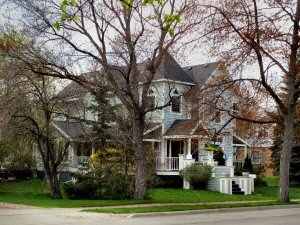 City Hall: 120 W. Westover, East Tawas, MI 48730, (989) 362-6161. 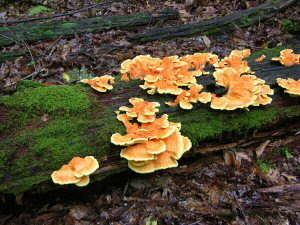 Photo courtesy of Enchanted Forest Web Page Design Service. Au Sable River [Wildlife Viewing Area] - U.S. Forest Service, Huron National Forest, Mio Ranger District, (989) 826-3252, Huron Shores Ranger District, Oscoda, (989) 739-0728; Consumers Energy. Closest Towns: Grayling, Mio, McKinley, Curtisville, Glennie, Oscoda. There are many access points along the Au Sable River. A good place to begin is the River Road National Scenic Byway. From Oscoda, drive west along River Road as it follows the river to M-65 and the Loud Dam Pond. Many of the Forest Service River Access Areas require a Huron-Manistee vehicle pass to park at the sites. Contact the U.S. Forest Service to inquire about a vehicle pass and for excellent maps of the river. This stretch of the Au Sable River from Grayling to Lake Huron offers breathtaking scenery as well as excellent wildlife viewing opportunities. Panoramic vistas from high bluff overlooks, long wooden boardwalks over spring-fed streams, and miles of quiet, undeveloped shoreline all can be found along this scenic river that flows from Grayling to Oscoda. Consumers Energy owns and operates six hydroelectric dams along the Au Sable between Lake Huron and the town of Mio. Most of the river frontage is Huron National Forest land managed by the U.S. Forest Service or Consumers Energy lands. These lands provide a combination of developed and undeveloped outdoor recreation opportunities. Contact the Forest Service for hiking, canoeing, camping, skiing, and snowmobiling opportunities along the river corridor. Good chance of seeing bald eagles along the river in any season. Eagles hunt for fish and waterfowl in the shallow areas of the river and in the reservoirs formed by the six hydro dams. A successful effort to re-establish native trumpeter swan populations has resulted in excellent opportunities to view the majestic birds on the hydro reservoirs. Deer and wild turkeys are common along the river corridor and in the adjacent woodlands. 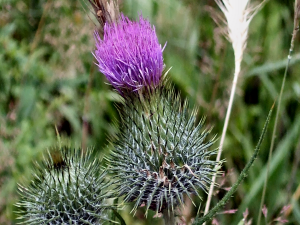 Watch for them along roadsides at dawn and dusk. While canoeing the river, you may see river otters, mink, beaver, trumpeter swans, mallards and mergansers, and many songbirds. The song of the secretive winter wren, the northern water thrush and the black and white warbler are common along many of the thicker riverbank habitats. The melodious and distinctive songs of these and the many other resident songbirds add to the beauty of a float down this very wild and scenic river." The 23 mile stretch of the river from Mio downstream to the 401 Bridge is a designated National Scenic River. In the river, you may see trout, walleye, pike and bass. Fishing here is excellent. The Au Sable makes an easy, beautiful float, and there are plenty of canoe liveries available in the area if you do not have your own boat. 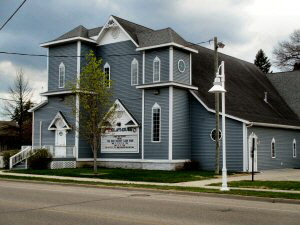 Iosco County Historical Museum, 405 West Bay Street, East Tawas, MI 48730, Phone: (989) 362-8911. We are an area historical museum.If you have ancestors who grew up here we have a library of historical facts and naming early pioneering families. Must have been in area twenty years at least. Funeral records of former funeral home.History of the Detroit and Mackinac Railroad started in East Tawas by J.D.Hawkes who built the house our museum is located in.Also tells of lumbering boom days for entire county. Also artifacts from both. 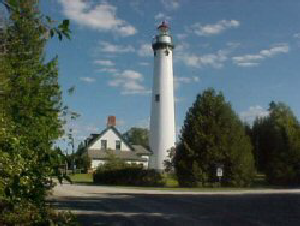 Tawas Point Lighthouse, 686 Tawas Beach Road, East Tawas, MI 48730, Phone: (989) 362-5041. Tawas point Lighthouse, in operation since 1876, and now part of Tawas Point State Park, is a fascinating attraction for maritime buffs. Tawas Point is also a mecca for birdwatchers, especially in the migration seasons of spring and fall. Tawas Point also offers spectacular views of sunrises over Lake Huron and sunsets over Tawas Bay. Guided tours are available. Also, a gift shop. Tawas Point State Park [Wildlife Viewing Area] - Michigan Department of Natural Resources (989) 362-5041. Closest Town: East Tawas. From East Tawas take US-23 north one mile to Tawas Beach Road. Turn right (east) and proceed about 2.5 miles to the park entrance on the right side of the road. 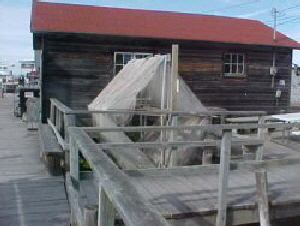 True to its name, this site sits on a point that sticks out into Lake Huron. Narrow, sandy beaches line both sides of the point and an interpretive trail runs from the campground to the tip of the point. Because it sticks out from the surrounding shoreline, Tawas Point is attractive to waterfowl and shorebirds. See large concentrations of these birds from early March through May. Watch the Lake Huron side of the point for shorebirds and the Tawas Bay side for waterfowl. During May, you may also see other kinds of birds migrating north including broad-winged hawks, turkey vultures, warblers, and blue jays. 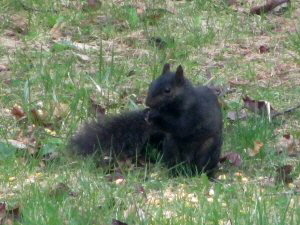 But birds are not the only kinds of animals that migrate. In mid-August, monarch butterflies often congregate on the Point to rest as they make their annual journey south to Mexico for the winter. Tuttle Marsh Wildlife Area [Wildlife Viewing Area] - U.S. Forest Service Phone: (989) 739-0728. Closest Towns: Tawas City, East Tawas, Oscoda. From Tawas City, take Monument Road north about one mile to Wilber Road. Turn right and proceed 3 miles to the stop sign at Galion Road. Turn right and drive 1/2 mile to Sherman Road. Turn left and continue 1.5 miles to May Road. Turn right and drive 1/2 mile to Brooks Road. Turn right and follow the winding gravel road for 1/5 mile to Tuttle Marsh Road on the left. Tuttle Marsh Road is about 4 miles long. A 400-acre impoundment is at the heart of this site, which is surrounded by hundreds more acres of seasonally flooded wetlands. Tuttle Marsh has no facilities or developments, but visitors are encouraged to use the wetland dike as a hiking trail. Thousands of waterfowl use this flooding as a feeding and resting location during their spring and fall migrations. Spring is the best time to view waterfowl here because water levels are high and ducks are in their colorful breeding plumage. Teal, goldeneyes, mallards, and Canada geese are the most commonly seen species. During summer, much of the wetland may dry up, but the impoundment still attracts herons, American bitterns, and the many shorebirds that come to feed in the exposed mud flats. During winter, large herds of deer may congregate here. Round Lake National Forest Campground, Huron Shores Ranger Station, 5761 North Skeel Road, Oscoda MI 48750. Phone: (989) 739-0728. Round Lake Campground is located in Iosco County, Michigan. 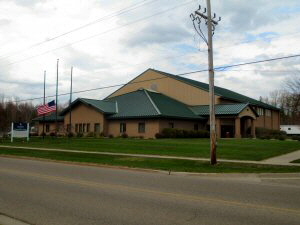 The nearest communities include East Tawas, about 9 miles southeast and Hale, about 9 miles northwest. Round Lake Campground is a scenic, wooded camping area offering a wide variety of recreation opportunities. Anglers can find sunfish, bass and pike while campers can relax at the beach or have a picnic. The campground is located in the village of Sand Lake. Groceries and gas are nearby. 33 campsites. Tawas Point State Park, 686 Tawas Beach Road, East Tawas, MI 48730. Approximate Size: 183 (Acres). Phone Number: (989) 362-5041. Tawas Point has been referred to as the "Cape Cod of the Midwest." The campground is located on Tawas Bay where the water is shallow and warm for swimming. In the park is the Tawas Point Lighthouse which serves as the sole representative of a true Victorian-era style station on the Great Lakes. 193 campsites.